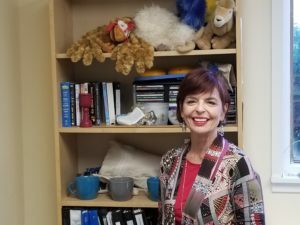 Temple Isaiah is very fortunate to have our new Cantor-Education Director Marcey Wagner. Cantor Wagner brings a wealth of experience in each of these roles as she joins our Temple Isaiah community. According to Cantor Wagner, ” A Cantor is an individual specially trained in all nuances and intricacies of davening, nusach, Jewish musical traditions, scriptual chanting and many other subjects. She is a graduate of the University of Virginia and the Jewish Theological Seminary. Cantor Wagner looks forward to working and meeting all the families in our community. Cantor Michael F. Trachtenberg graduated from Hunter College, Queens College and studied voice with Luigi Velluci of the New York City Opera. Cantor Trachtenberg completed cantorial studies at the Herzliah-Jewish Teachers Seminary of New York. He served congregations in the Bronx, Lawrence, and Westchester before coming to Temple Isaiah in 1986. In addition to his duties at Temple Isaiah, he still found time to vocalize with the New York Cantor’s Ensemble and later the Long Island Cantors’ Ensemble and appear in solo programs throughout Long Island. He is a “maven” when it comes to Jewish history. In 2005, Cantor Trachtenberg was chosen to be a part of Pave the Way Foundation’s mission to Rome, met Pope John Paul II, and sang in the first-ever cantorial concert in Rome’s Great Synagogue. You may contact Cantor Trachtenberg at mtrach43@aol.com.